Located on the corner of Michigan and Lake Streets in downtown Chicago, the American Writers Museum (americanwritersmuseum.org) not only sheds some light on the laborious writing process, but also showcases the American wordsmiths behind the famous bylines. There’s elevator access up to this small second-floor-museum, and plenty of room to maneuver a wheelchair around the exhibits. Additionally, a good number of the exhibits are targeted at children — to instill a love of reading and excitement for the writing process — and as a result most of them are at wheelchair height. One of the more adult artifacts in the collection is a digitized version of Jack Kerouac’s famous On the Road manuscript, which was written on a 120-foot scroll of tracing paper. 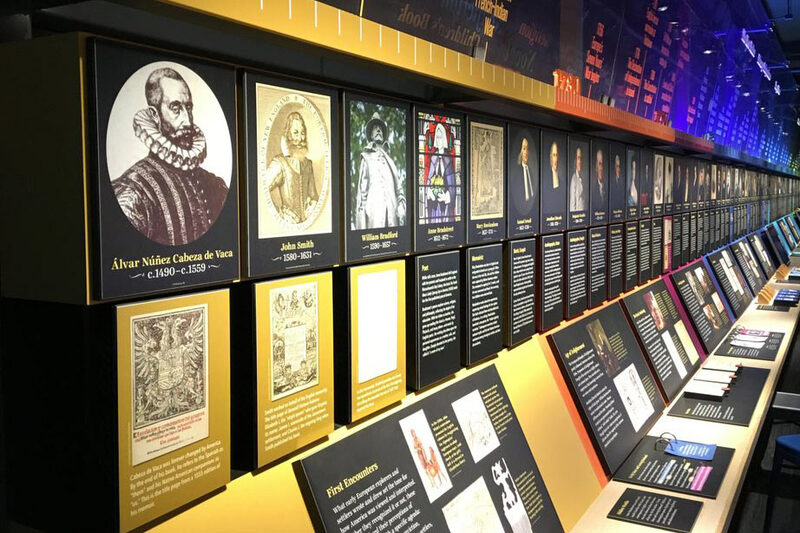 Additionally, the museum also offers a collection of author bios filled with fun facts on some of the more influential writers in American history. To that end here’s a short quiz filled with facts gleaned from that exhibit. Give it a try to see how well you really know American authors. What author created the fictional character Diedrich Knickerbocker, for whom New York’s NBA team was named? Who was the first author — a visionary — to advocate “art for arts sake”, which was a marked departure from the prevailing thought that all writing needed to serve a educational or moral purpose? What writer took his pen name from the nautical term that means “mark number two” or “two fathoms”? This author originally penned a memoir titled Pioneer Girl, targeted at an adult audience; however her daughter convinced her that children were a better audience and subsequently helped her edit her book. It went on to sell 60 million copies. Who was this author? What famous author wrote about his sailing adventures across the South Pacific to Australia on his boat, the Snark? This author suffered from depression, and tried journalism, poultry farming, factory work and teaching, before he published his first book of poetry at age 40. A later poetry collection won a Pulitzer Prize and he was soon established as “The poet of New England”. Who was he? Who was the first American playwright to receive the Nobel Prize for literature? And of you only got one right, you might consider a stop at the American Writers Museum on your next trip to the Windy City. Check out these budget friendly — and accessible — things to do on your next Chicago visit. And while you’re in the neighborhood, make sure and visit this Frank Lloyd Wright accessible Usonian home in nearby Rockford.